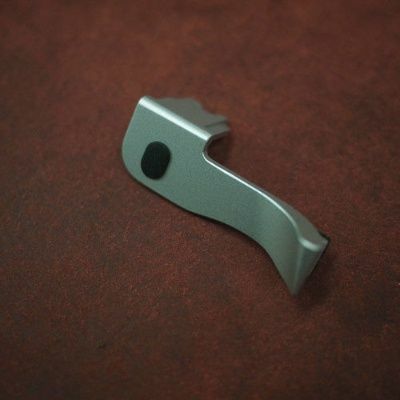 The thumbs Up EP-1S rest incorporates the well proven 22 degree beveled EP grip. This profile provides the most efficient shape to hold the camera more securely and more comfortably. The special EP profile substantially reduces grip pressure and therefore camera shake. Thumbs Up EP-1S is CNC machined from solid brass billet, and the Cold Shoe is an integral part of the complete assembly and cannot be removed – no screws, no joints and no glue, all ensure strength and longevity, and guarantee that holding your camera for your compositions can be done in a repeatable way every time. A silicon rubber insert that extends across the full width of the back of the Thumbs Up, provides a cushion between the camera body and your Thumbs Up EP-1S. This silicone rubber insert also serves to dampen camera vibration between your hand and the camera.